Skip the smoothie, have a burger? Fast food for exercise recovery. Many athletes use specialized supplements before, during, and after exercise to improve performance and enhance strength and endurance gains from training. Many non-athletes also use similar supplements, even though they may not need them. And a recent study suggests that fast food, literally meals from McDonald’s, can work as well as more expensive sports supplements for promoting muscle recovery following intense exercise. I try to make sense of all of this in my Health & Fitness column in the Aiken Standard this week. After exercise, many athletes consume specialized beverages and foods that supply nutrients to help their muscles recover. These recovery drinks generally contain some combination of carbohydrates (sugar) and protein and come in liquid, shake, or smoothie form. There are also energy bars specifically formulated for use after exercise. 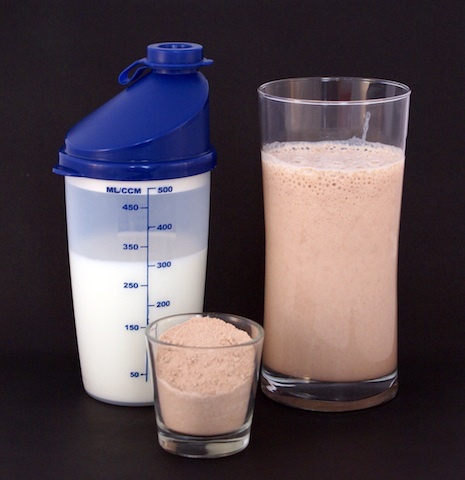 Research shows that these carbohydrate-protein recovery drinks and foods enhance muscle recovery and adaptations to training in some athletes. Even if you aren’t an athlete, you may consume these products after you work out. Let’s explore when and for whom these recovery products might be useful. Intense endurance exercise—think of a distance runner, cyclist, or triathlete—uses muscle glycogen as a fuel. Muscle glycogen is a storage form of glucose, sugar that the muscle converts into energy. During prolonged exercise sessions that last at least 60–90 minutes, muscle glycogen levels can be severely depleted. Resynthesizing that muscle glycogen is a priority following exercise. Athletes who are engaging in intense resistance training to build muscle and strength may also benefit from a recovery drink. Weight training stimulates protein synthesis in the muscle, so it makes sense that consuming additional protein would be beneficial. As new muscle protein is formed, both strength and muscle size are increased. It has also been shown that combining the carbohydrates with protein results in more rapid muscle glycogen replenishment and increases muscle protein synthesis. This is why many specialized recovery drinks and foods include a combination of carbohydrates and protein. The best time to consume carbohydrates to restore muscle glycogen levels is immediately following exercise. Similarly, the muscle is most responsive to extra protein immediately after a resistance training session. Perhaps these recovery drinks, bars, and shakes aren’t even necessary. Sports nutritionists have long recommended conventional foods and beverages for athletes after exercise. Research shows that chocolate milk is just as effective as more expensive supplements for replenishing muscle glycogen and promoting muscle protein synthesis. Remarkably, according to a study published last week, fast food may work just as well! In this study cyclists were fed either commercial recovery aids or food from McDonald’s including pancakes, sausage, juice, a burger, fries, and soda after they completed an intense exercise session. Importantly, the meals contained equal amount of calories and nutrients. It turns out that there was no significant difference in how quickly muscle glycogen was replenished or in performance in a subsequent exercise bout between the two conditions. While the authors don’t recommend eating more fast food, this study suggests that foods not typically thought of as sports nutrition products can be effective for muscle recovery following vigorous exercise. But what about people who engage in regular exercise to improve fitness or lose weight? The benefits of recovery drinks in athletes exist because the intense training causes changes in the muscle that allow the extra carbohydrates and protein to have a positive effect. Training at a lower intensity is unlikely to create this stimulus in the muscle, so these nutrients would not have a significant benefit. Simply put, most people don’t train hard enough to need a recovery drink. The bottom line is that these recovery aids are not always necessary and you can get the same benefits from regular food. Something else to keep in mind is that these supplements, especially in shake or smoothie form, can be high in calories. It is entirely possible to consume more calories in a recovery beverage than you burn during exercise. This could diminish the effect of exercise on weight loss and may actually lead to weight gain. For most of us, a sensible diet with regular exercise is the key to meeting fitness and weight loss goals. Thanks to a recent study and media coverage (including me), low-carbohydrate diets are a popular topic of discussion. For many people, cutting back on carbohydrates is a good way to reduce calories to promote weight loss. 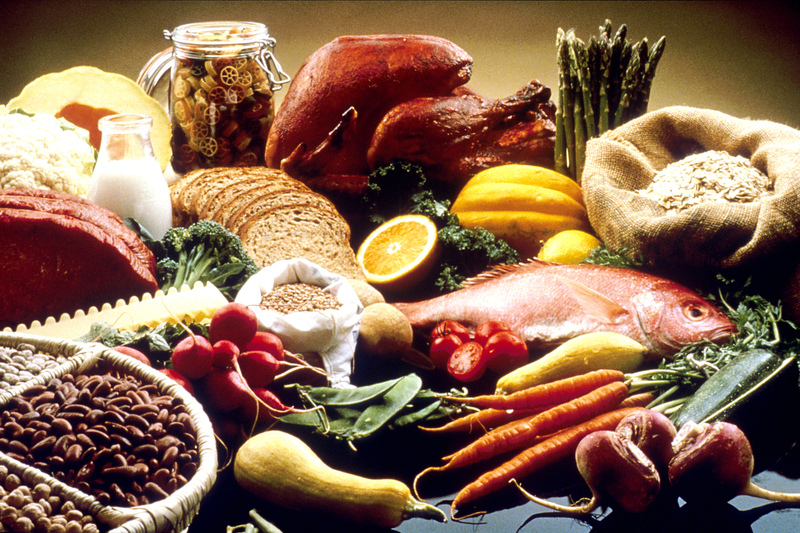 Most low-carbohydrate diets also emphasize protein intake. 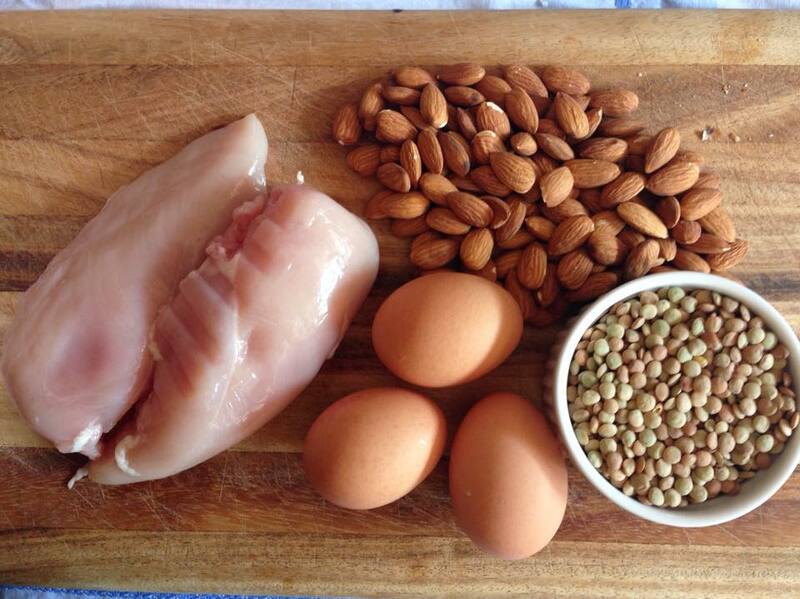 But finding healthy protein sources is important for promoting weight loss and good health. This recent discussion about the best protein for optimal weight loss on the Train Your Body show on RadioMD should help.